Having worked with a number of interior designers we recognise the importance of matching your framed artwork with your home décor. 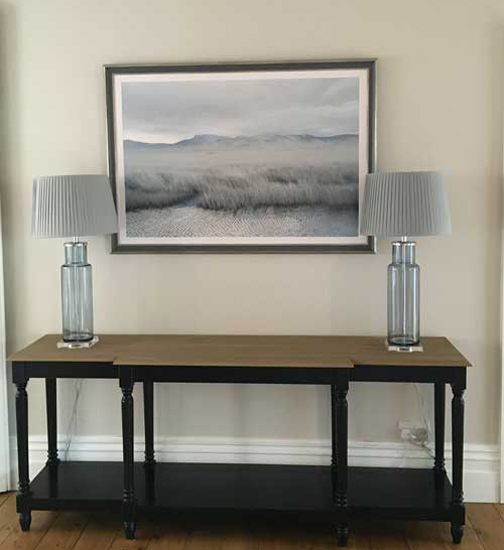 This beautiful artwork was framed in a contemporary grey and silver frame with white mount to compliment the wall colour and lamps. A large piece in a hallway needed anti-glare glass to cut down on reflection.